Here’s a quick-reference guide to all Qs you’re positively longing to A. And if what you’re looking for isn’t answered below, email your query to info@poppinspayroll.com. Why do i need Poppins? Am I a household employer? You are considered a household employer if you (1) pay more than $2,100 a year to an individual who performs duties in or around your home (or outside your home if you are in a nanny share) and (2) if you have the right to control when, where, how or by whom the work is performed. Household employees include nannies, gardeners, nurses, housekeepers, personal assistants, estate managers, chefs, senior caregivers, etc. In some states, you are obligated to start withholding and pay state unemployment and disability when a lower threshold is reached. Can I label my household worker an “independent contractor” rather than an “employee” and thereby avoid nanny tax liability? No. Rather than leave worker classification up for interpretation, the IRS has definitively stated that household workers are employees, not independent contractors. Classifying and paying your household worker as an independent contractor is considered tax evasion and exposes you to penalties and liability. What are my obligations as a household employer? Obtain a federal Employer Identification Number from the government. Register with the appropriate state and local agencies and report the hiring of your employee. At every pay period, you must withhold Social Security, Medicare and income taxes from the employee’s paycheck and make employer contributions to the Social Security, Medicare, Unemployment Insurance and state and local taxes, if applicable. Some states require additional withholdings and contributions. Quarterly, you must submit the proper paperwork and payments to the correct agencies. The agencies will typically include the IRS, state and any other local agencies that require remittances, including certain municipalities. After the calendar year-end, you must provide your employee with his or her W-2 form, submit such information to the Social Security Administration and prepare a Schedule H to file with your individual tax returns. Poppins takes care of all these responsibilities for $39 a month! Can I just pay my household employee “under the table”? It’s not worth the risk. It does not cost you much—in some cases, nothing (keep reading)—to comply with your legal obligations, and it provides your employee with important benefits for his or her future, including Social Security, Medicare and Unemployment insurance. Plus, paying nanny taxes may actually save you money in the long run. Employer contributions typically run around 10% of the employee’s salary, but you can offset some, if not all of the cost with things like flexible spending accounts and child and dependent care tax credits—benefits that are only available if you are legally reporting your childcare expenses. Most importantly, it’s illegal to not pay these taxes and noncompliance is punished with harsh penalties and late fees. You’ll certainly be thankful when you’re nominated to be Secretary of State. If I’m in a nanny share, do all the families have to pay nanny taxes? Yes. Each family in a nanny share is treated as a household employer under the tax code, regardless of which house the nanny actually works in. Even though it may seem simpler for just one family in a nanny share to take care of the household employee taxes, this actually puts the other families at risk should they be audited. Each family should establish itself as a household employer with the state and federal agencies, and each family should pay the nanny their share of her wages separately. I run my own company. Can I just add my household employee to that payroll? No. In the eyes of the IRS, your household employee contributes to your household, not your business, which means that the employee should be at the expense of the household. Running the household employee through your business payroll puts you at risk for liability. Taxes and payroll reports are far from my forte. Is Poppins Payroll easy to use? Yes. The initial sign-up process takes only about 10 minutes, and once everything is input in our system, there’s hardly anything you have to do at all. We let you know when and how much you need to pay your employee (we can even do direct deposit for you free of charge), plus we take care of all your quarterly and year-end reporting. How do I know Poppins Payroll won’t make a mistake? When you use Poppins Payroll, you get the benefit of guaranteed accuracy and on-time remittance (payment) of your due taxes. Our experts understand every detail of these laws, so you can trust you’re in very capable hands. If anything were to ever go wrong, we’re here to fix the problem at absolutely no cost to you, no questions asked. What fees are associated with Poppins Payroll? Where some companies have contracts, hidden fees, confusing service menus and additional sign-up, quarterly, annual and a la carte costs, Poppins Payroll offers one all-inclusive package for one low monthly rate: just $39/month. 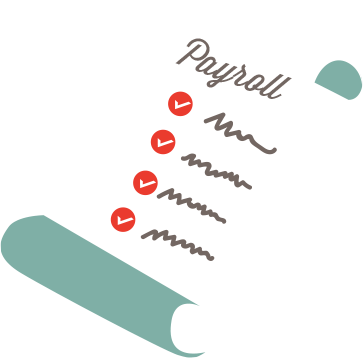 How and when does payroll run? When you add your employee on our site, you elect the frequency of payroll. Payroll is always a week in arrears to allow appropriate time to adjust hours and transfer funds. You will then get email reminders to let you know that a work period is closing. You can adjust payroll anytime during the work period and for 2 days after the work period closes. If you do not have changes to make, you do not need to do anything to run payroll. Payroll will automatically run per your default pay settings. Simple. What if I need to change my employee’s payroll? Revising payroll is easy with Poppins Payroll. After you become a client, you will have access to your custom dashboard. Through your dashboard access you can simply and easily revise payroll with a click of a button. You will get email reminders to let you know that a work period is closing and reminding you to adjust the payroll if desired. What taxes are remitted and how are they collected? The household employer taxes are made up of two parts: 1) the amounts withheld from the employee and 2) the amounts that the employer must contribute. We calculate each tax type every payday, and your tax information is always available to you through your personal dashboard. Every pay period your employee is paid his or her wages, less the withheld taxes, the net amount. At the end of each tax period. Poppins Payroll will send you an email to reminding you that you have a tax return obligation coming up and the amount of your tax obligation withdrawal for the tax period. This will include amounts that have been withheld from your employee and amounts that you are obligated to contribute as an employer. Poppins will then file all of the paperwork along with the tax amounts to the appropriate authorities. Workers' compensation insurance provides benefits to your employee in the event of an on-the-job injury. It can also limit an employer’s liability. Whether you are required to obtain such insurance varies by state. The best place to start is by asking your insurance agent to see if this is already included or could be added to your homeowners or other coverages. Additional state-specific information will be provided to clients. Do I need to pay overtime? Yes. According to the IRS, household employees that do not live with their employers must receive overtime at 1.5 times their regular rate after forty hours of work in one work week (seven consecutive days). Many states have additional overtime requirements. Can I pay my nanny a salary instead of hourly? Regardless of whether you pay hourly or salary, you must still pay your employee overtime and at least minimum wage. If you decide to pay a salary, you should have a written agreement as to how many hours the salary covers and at what rate.